IT6500 series is a flexible range single output high power supply. With wide power ranges from 800W to 6KW, currents from 30A to 240A.Standard RS232, USB, GPIB, RS485 and LAN interfaces included on the rear panel provide flexibility for remote operation of the power supply. 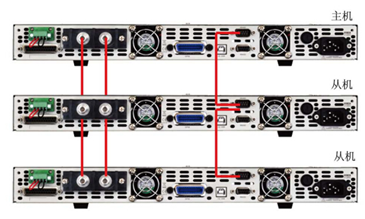 Its compact 1U (1200W) to 4U (6KW) size form factor makes it ideal for use in a standard 19-inch rack.IT6500 series is specially designed for automobile electronic industry. It provides built-in DIN40839 and ISO16750-2 waveforms to test the anti-jamming performance of products, such as DVD and sound equipment. 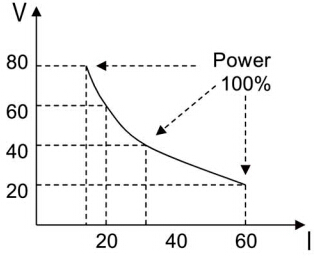 IT6500 series power supply has applied Auto-range technology combination of the rated voltage and current up to the maximum output power of 1200W.For example, the max current output at 20V is 60A. Some models of IT6500 series integrate voltage (12V/24V) sequence according to DIN40839 It can simulate the start waveform of engine. 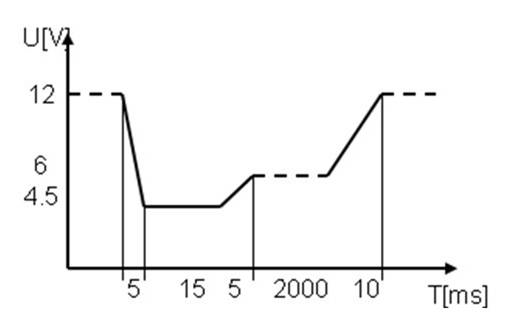 Under List mode, user could customize the output voltage sequence base on testing demands, such as, rising/falling slop. This is a high-performance source that can be used in many fields. Above is a schematic illustration of Master-Slave connection mode. When connect several units in parallel or series, user could specify one unit as a Master and the others as slaves. All setting operations can be directly finished through Master. And slaves only display SLAVE. Note: Except connect all positive and negative poles in parallel or serial, user also need to connect 485 interface in parallel.